In the Admin bar at the top, select Modules. After you've downloaded the CDN Module from Drupal.org, select "Install new module" and upload the .zip. Upload the CDN Module from your browser and install it. Hopefully, everything will install successfully. That's something your hosting provider can help with. 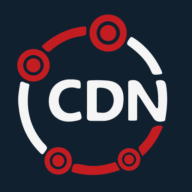 Change the status of the CDN Module to Enabled and Save configuration. On the right hand side of the configuration screen, select the Details menu tab. In Mode, select Origin Pull and enter the CNAME record generated when you created a CDN Resource. See How To Set Up A CDN Resource. On the right hand side of the CDN Module screen, select the Other tab. Enable HTTPS for SSL support (optional). See how to Set Up SSL.